Photo copyright © 2007 D. W. McComb. 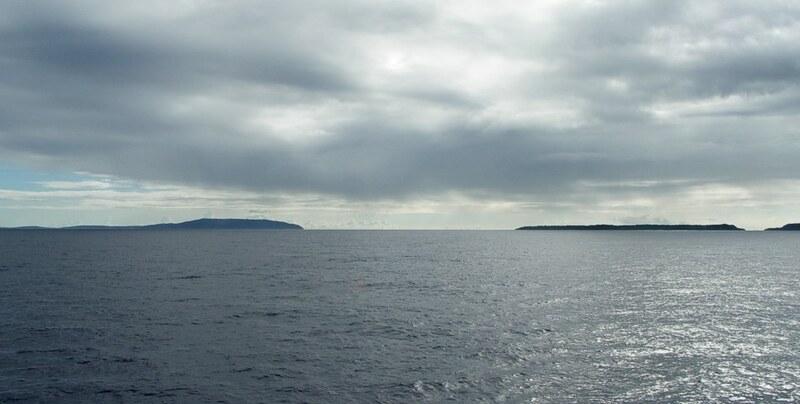 The channel by which Adm. Kurita hoped to enter Leyte Gulf on 25 October 1944: looking west from the open Pacific Ocean toward the gulf’s eastern entrance. Homonhon Island is at left and low-lying Candola Island (southeasternmost of Samar’s offshore islands) is at right, 11 April 2007.